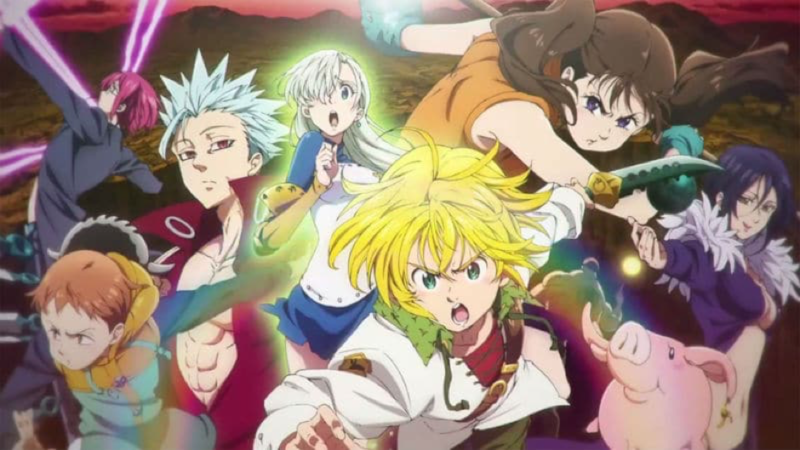 Based on the best-selling manga series of the same name, Nanatsu no Taizai follows the adventures of Elizabeth, the third princess of the Kingdom of Liones, and her search for the Seven Deadly Sins; A group of knights who disbanded after their supposed defeat by the hands of the kingdom’s holy knights, when they supposedly plotted to overthrow the Liones Kingdom. Ten years later, the same Holy Knights staged a coup d'état and captured the king, becoming the new, tyrannical rulers of the kingdom. With the help of the falsely exiled knights, Elizabeth attempts to not only take back her kingdom from the Holy Knights, but to also seek justice in an unjust world. This high antsy anime series balances vicious fights with outrageous comedy and the sweet bond portrayed between the abundance of characters that are evenly handed out to you. The vivid colours of this visually pleasing animation are a feast for the eyes that will leave you wanting more. Centuries ago, mankind was slaughtered to near extinction by monstrous humanoid creatures called titans, forcing humans to hide in fear behind enormous concentric walls. After one hundred years without a single titan encounter, that fragile calm is soon shattered when a colossal titan manages to breach the supposedly impregnable outer wall, reigniting the fight for survival against the man-eating abominations. A vengeful young boy, named Eren Jaeger, who joins the military to fight off the horrific creatures with his adopted sister Mikasa Ackerman and best friend Armin Arlert, will stop at nothing to protect what he cares about, and rid the world of these monsters. 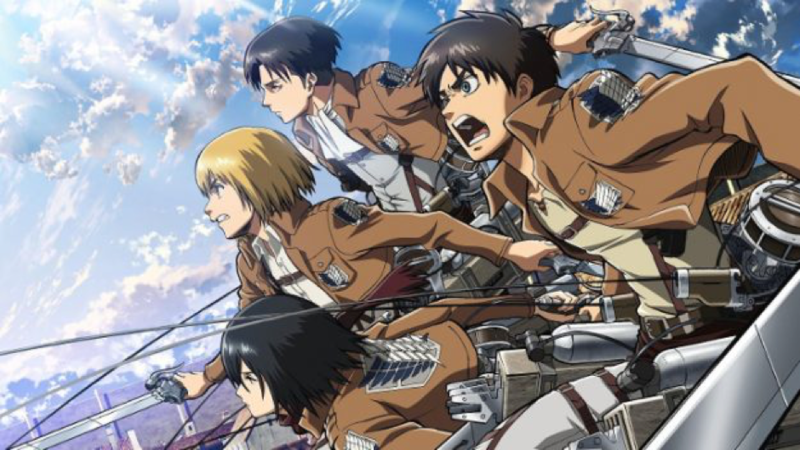 With a beautiful blend of visual action, dark fantasy and mature elements, Attack On Titan is a series that just explodes on your screen from the bat! You’ll be left on the edge of your seat wondering whether you’ll ever get to find out the origin of the titans and if mankind will come out triumphant from their wrath. 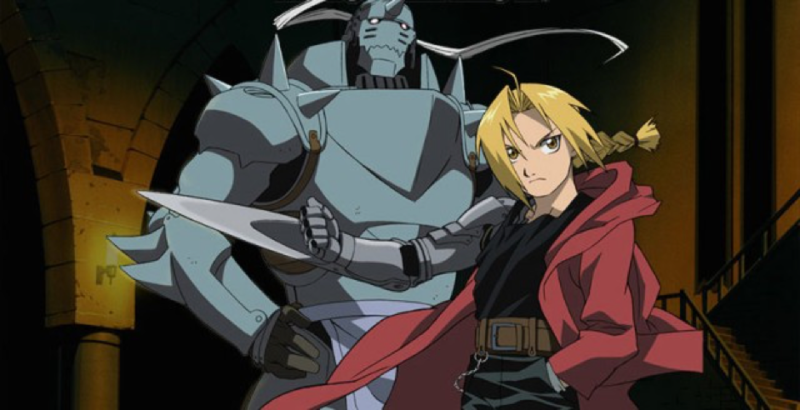 After attempting human transmutation: the one forbidden act of alchemy, young brothers Edward and Alphonse Elric pay a terrible price for their transgression—one loses his left leg, and the other his physical body. Three years later the brothers set out to seek the Philosopher's Stone, a mythical relic that allows an alchemist to overcome the Law of Equivalent Exchange. Even with military allies the brothers find themselves caught up in a nationwide conspiracy that leads them not only to the true nature of the Stone, but their country's murky history as well. Centred on an ultimate tale of redemption, the characterisation and artistic portrayal of alchemy, captivates you from the start. The philosophical views and amazing action scenes has cemented this anime to be a top tier series which can be viewed as sacred. In a world where people with superpowers known as "Quirks" are the norm, Izuku Midoriya has dreams of one day becoming a Hero, despite being bullied by his classmates for not having a Quirk. After being the only one to try and save his childhood friend from a villain, Izuku meets the world's greatest hero and his personal idol, All Might. All Might's quirk is a unique ability that can be inherited, and he has chosen Izuku to be his successor, bestowing upon him his Quirk "One For All". Enduring many months of gruelling training, Izuku enrols in UA High, a prestigious high school that cultivates the next generation of superheroes. With his bizarre but talented classmates and the looming threat of the League of Villains, an evil organization, Izuku will soon learn what it really means to be a hero. My Hero Academia balances diverse and unique characters with exciting, emotionally satisfying action. Its superhero roots and intriguing on-going storyline about the nature of heroism makes it easy to get into, allowing this to be one addictive anime. Twelve-year-old Gon Freecss is determined to become an official hunter in hopes of finding his father. However, to become a hunter is exceptionally dangerous and taking the infamous Hunter Exam is an obstacle only few surpass. Hunters exist to perform all manner of dangerous tasks, like capturing criminals and bravely searching for lost treasures in uncharted territories. Along the way Gon befriends a lively doctor-in-training, Leorio, vengeful Kurapika, and rebellious ex-assassin, Killua. They embark on an adventure that puts them through many hardships and struggles, where they’ll meet a plethora of monsters, creatures, and characters. Filled with contrasting yet equalling investing leads, you see four heroes develop and fight their way to earning themselves hunter licenses, and accomplish their personal desires. The laid back persona of the protagonist keeps this anime series to be light and welcoming, however when things do get serious and they will get serious, you’ll be taken aback and gripping onto the edge of your seats. A "Death Note" is a mysterious black notebook used by a shinigami or a god of death that can kill anyone, as long as the user knows both the target's name and face. One day, a bored shinigami, by the name of Ryuk, interested in seeing how a human would use a Death Note, drops one into the human realm. High school student and prodigy Light Yagami stumbles upon the Death Note and tests the deadly notebook by writing a criminal's name in it. When the criminal dies immediately following his experiment, Light is greatly surprised and quickly recognises the power that has fallen into his hands. With this divine capability, Light decides to extinguish all criminals in order to build a new world where crime does not exist, and people worship him as a god. Police, however, quickly discover that a serial killer is targeting criminals and, consequently, try to apprehend the culprit. To do this, investigators count on the assistance of the best detective in the world: a young and eccentric man known only by the name of L.
Death Note is an anime that struck gold, known to be a legendary single series that has established itself in what has to be one of animes most smartest and suspense filled detective genre series. With the protagonist harbouring a God complex and somewhat justifiable reasons behind his actions, this anime will make you question whether an eye for an eye is really all that bad. Vicious creatures called “ghouls” exist alongside humans. Citizens live in constant fear of these bloodthirsty savages and their thirst for human flesh. However, the greatest threat these ghouls pose is their dangerous ability to masquerade as humans and blend in with society. Based on the best-selling supernatural horror manga by Sui Ishida, Tokyo Ghoul follows Ken Kaneki, a shy, bookish college student, who is instantly drawn to the beautiful, Rize Kamishiro, an avid reader like himself. However, Rize is not exactly who she seems, and this unfortunate meeting pushes Kaneki into the dark depths of the ghouls' inhuman world. 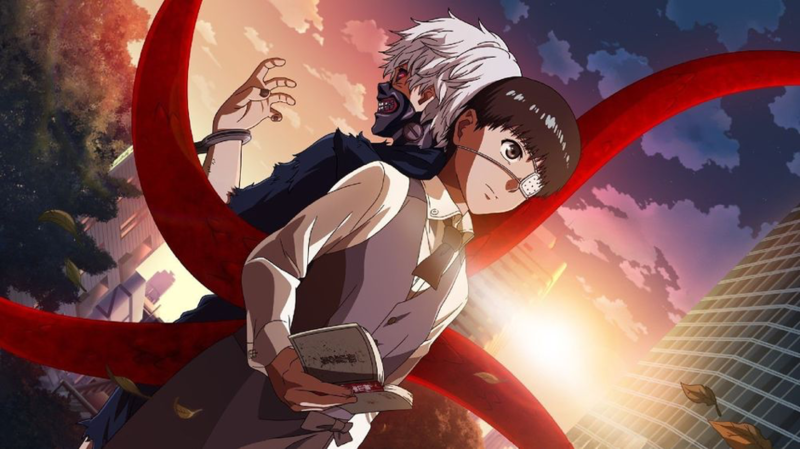 In a twist of fate, Kaneki is saved by the enigmatic waitress Touka Kirishima, and thus begins his new, secret life as a half-ghoul/half-human who must find a way to integrate into both societies. With the series’ dark subject matter, gore action, and excellent animation, makes this anime understandably popular. However, with the dull characters and very slow storyline development it makes it quite difficult to get into. Yet with a somewhat passing plot, action packed gory fight scenes, and cinematography animation this is a recommended watch. 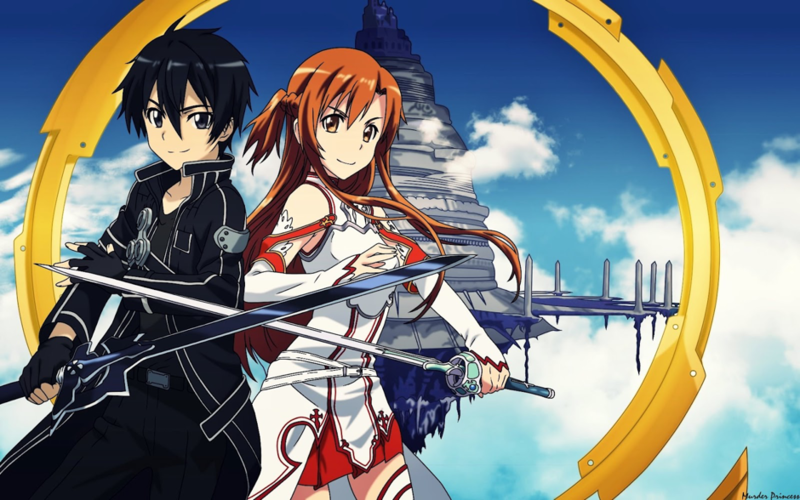 In the year 2022, gamers rejoice as ‘NerveGear’, a system that allows users to completely immerse themselves in the world of a game by manipulating their brain waves to create a wholly realistic gaming experience, releases a new VRMMORPG (Virtual Reality Massively Multiplayer Online Role-Playing Game) like no other called Sword Art Online. But when the game goes live, the elation of the players quickly turns to horror as they discover that, for all its amazing features, Sword Art Online is missing one of the most basic functions of any MMORPG – a ‘log-out’ button. Now trapped in the virtual world, and their bodies held captive by the NerveGear in the real world, users are issued a chilling ultimatum: “conquer all one hundred floors to regain your freedom”. But in the warped world of Sword Art Online, "game over" means certain death in both the virtual world and the real world. Filled with enemy players, monsters and the occasional awkward, yet sweet love scenes, you can’t help but be intrigued with this anime series. Wondering whether the gamers will ever make it out alive or if their fate is doomed by the inescapable game, you’re locked in every episode unprepared for what will come your way next but ready to see it through. In order to pursue his childhood dream of being a hero, he trained relentlessly for three years and lost all of his hair in the process. The seemingly ordinary and unimpressive Saitama is incredibly powerful, so much so that no enemy is able to defeat him in battle, which has led to an unexpected problem – he is no longer able to enjoy the thrill of battling and has become quite bored, as all it takes to defeat evildoers is just one punch. However, things begin to change with the arrival of Genos, a 19-year-old cyborg, who wishes to be Saitama's disciple after seeing what he is capable of. Genos proposes that the two join the Hero Association in order to become certified heroes that will be recognised for their positive contributions to society and Saitama, shocked that no one knows who he is, quickly agrees. The series’ wonderful contrast between comedic moments and serious action is emphasised by the beautiful animation and amazingly crafted fight scenes. The unserious-ness and expressionless face of the protagonist brings the comedic charm that makes you just fall in love with the series. When tragedy is about to strike, Satoru Fujinuma, a detached, 29-year-old manga artist, has the uncontrollable ability to send himself back several minutes before the accident occurs. He takes advantage of this powerful yet mysterious phenomenon, which he calls "Revival," to save many lives. However, when he is wrongfully accused of murdering someone close to him, Satoru is sent back to the past once again, but this time 18 years in the past, to the year 1988. Soon, he realises that the murder may be connected to the abduction and killing of one of his classmates, the solitary and mysterious Kayo Hinazuki, that took place when he was a child. And he takes this chance to make things right. Rivalling ‘The Death Note’, Erased is a very taut gripping, psychological thriller that is mixed with a serene sense of humour. The time travelling aspects keeps you on edge and the serious subject matter regarding murder, abduction and abuse makes this series to be emotionally poignant.